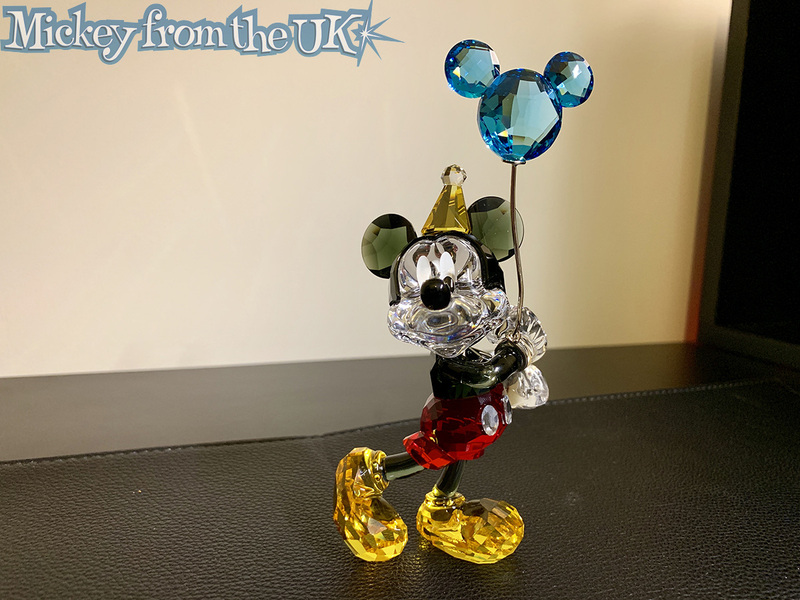 We share and review Swarovski Mickey Mouse Celebration, the Swarovski figurine of Mickey Mouse Celebration. 2018 celebrates the 90th birthday of the one and only Mickey Mouse. There are many different brands all releasing products to celebrate, and this is what Swarovski have to offer. 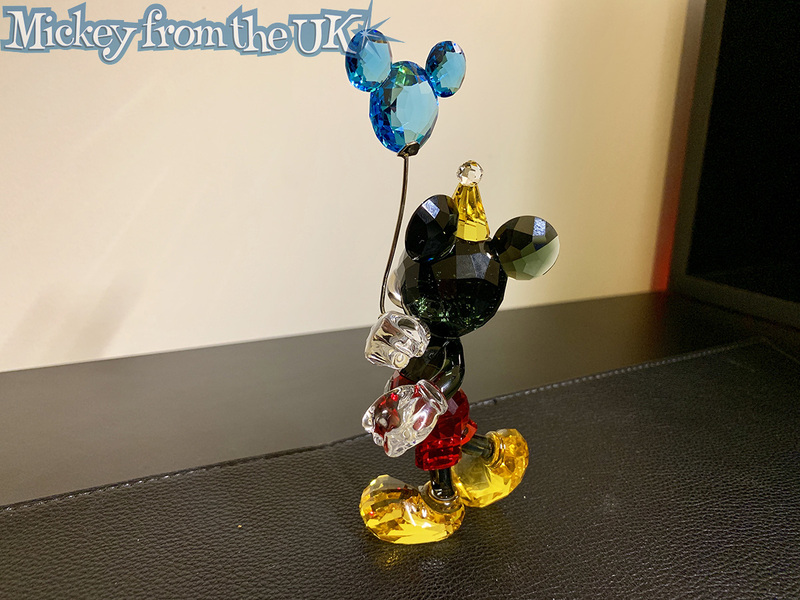 I've long admired the work Swarovski has done on their Disney range, and I also know that it's impossible to get hold of older ones when they stop selling them. That's the kind of collectible I like to get into. 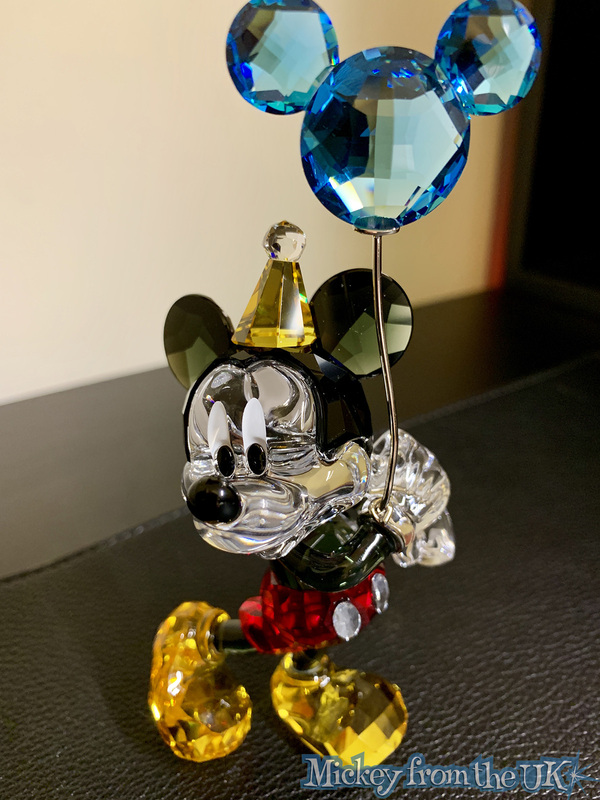 If you've never seen a Swarovski Disney figure in person, be warned, you'll want one. What's great about these Swarovski figures is that they look good even when they're not in the manufactured spotlights of the stores. 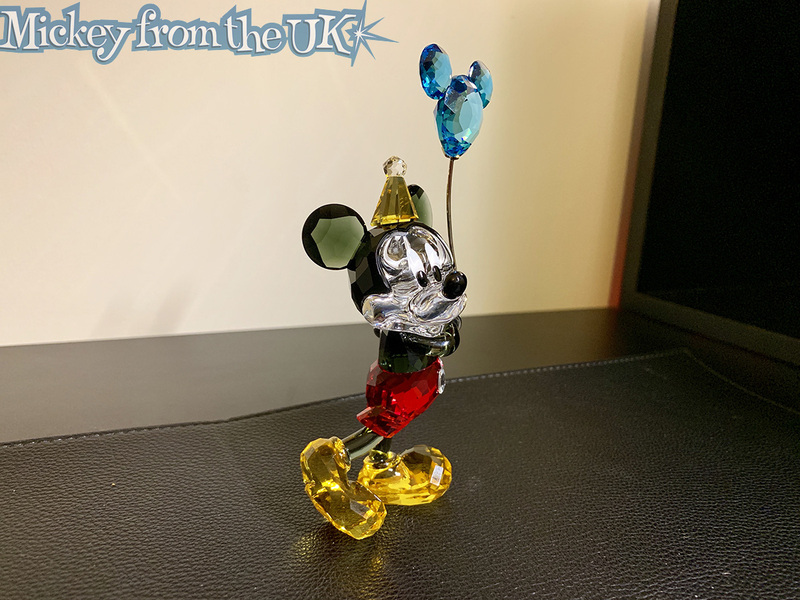 Although Swarovski have cheaped out a little, because this figure is almost identical as their 2017 Mickey Mouse, he's just holding a balloon wearing a little party hat this year. My only criticism of this piece is that the wire to the balloon, even though it is metal, is incredibly fragile and it looks like it would be very easy to break. So watch out for that. Overall a really nice piece and a fantastic edition to my collection. 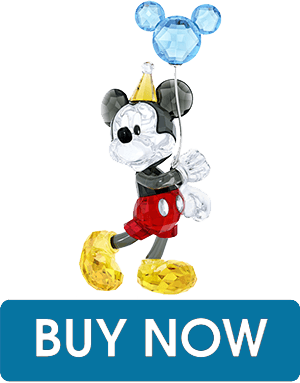 Get this Swarovski Mickey Mouse Celebration while stocks last below.